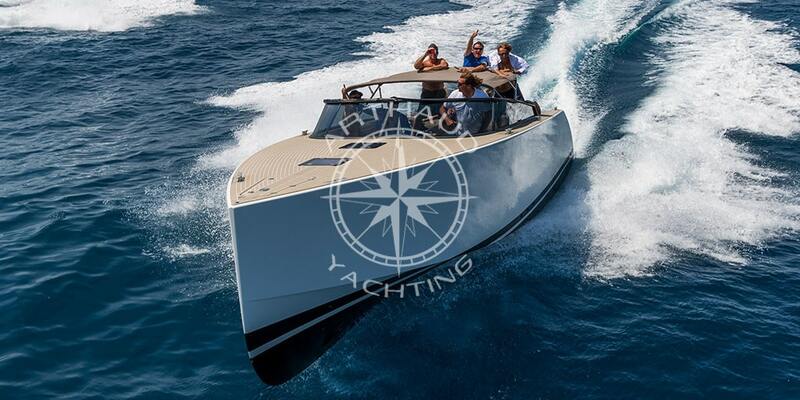 Thanks to the rental of a VanDutch yacht on the Côte d’ Azur, enjoy the Mediterranean Sea with style. 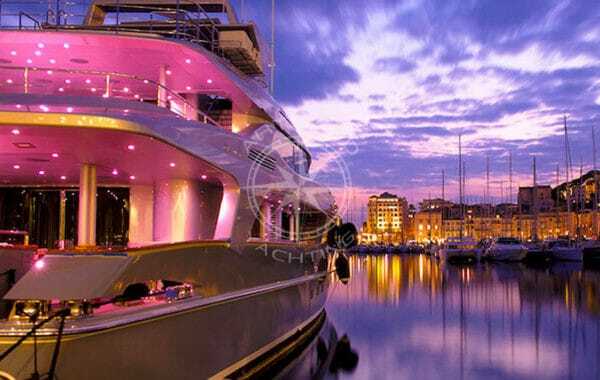 Yacht charter VanDutch Monaco, Cannes, Antibes, Nice, St Jean Cap Ferrat, St Tropez, etc. Vandutch successfully achieved their bet by proposing some elegant day-boats with a modern touch. 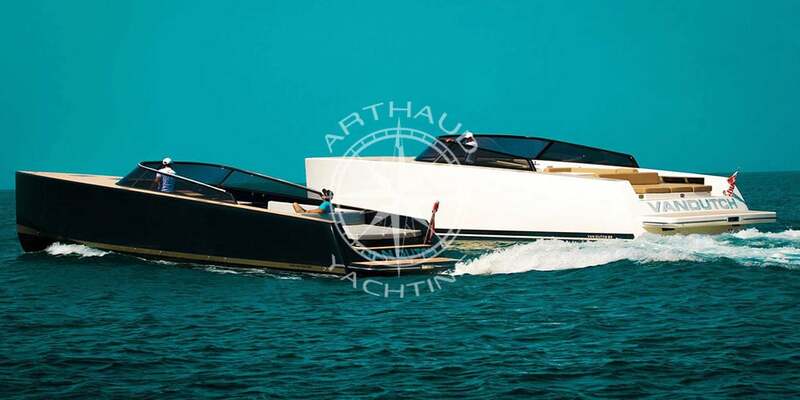 By opting for a robust construction at the cutting edge of technology, depicted by their choice of material, technics of production and a trendy designed courtesy of Franck Mulder Design, Vandutch assured themselves a worldwide marketing of 6 models ranging between 30 and 75 feet in addition to its key design the Vandutch 40. 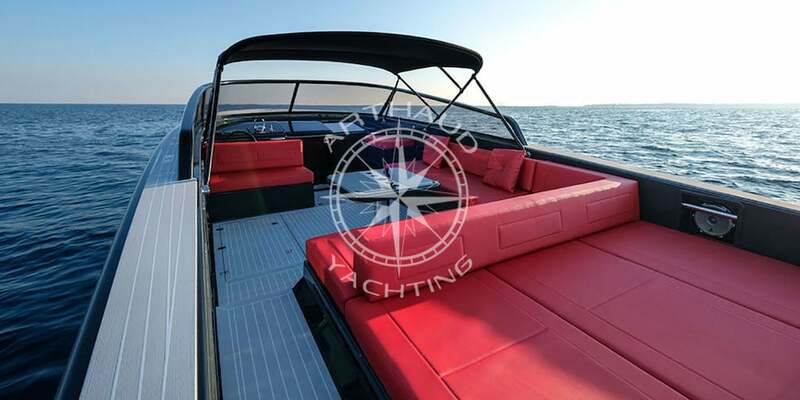 Rewarded several times internationally, the design of the Vandutch speedboats allows them to comfortably transport passengers thanks to its exceptional stability at sea and its haul shape which protects the cockpit of spoondrift. 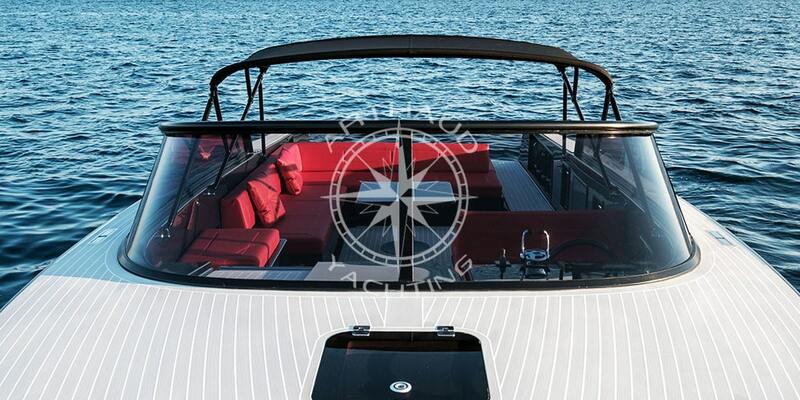 With its attentive finish and quality materials, the Vandutch is THE trendiest boat and the leader in its industry. 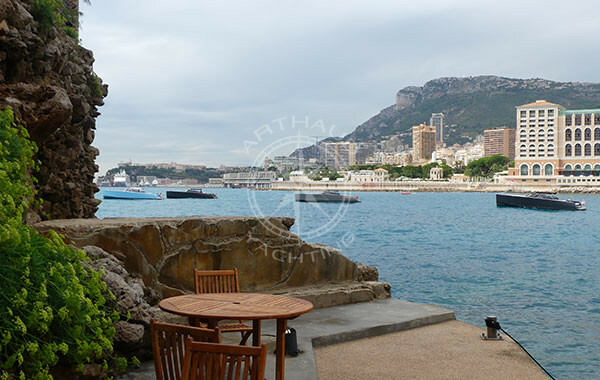 Arthaud Yachting provided a fabulous day's outing as our gift to our newlywed daughter and son-in-law. Every detail was handled with care. They have memories that will last a lifetime! Suffice to say that I am amazed by your performance. It's so rare to believe me to meet pros who have your level of experience. Super experience, irreproachable service. Recommended for professional events. Beautiful day at sea prepared by Arthaud Yachting. Crew at the top, listening to our customers. Lunch service and meals of excellent quality. Thanks to Jeff and his team for all these services. Qualified crew at your service on our VanDutch yachts for hire. A wide choice of yachts for your charters. Vandutch offers you for charter the largest fleet of 40 feet speedboats on the French Riviera. 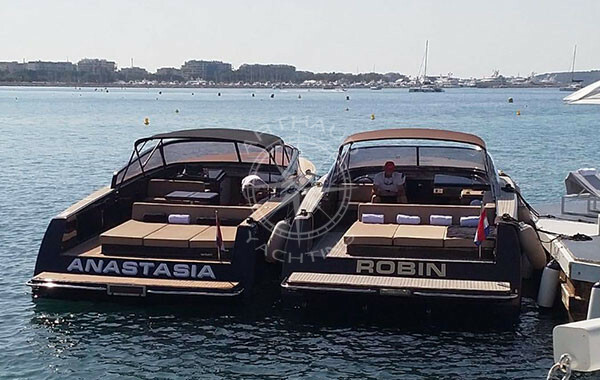 Their great manoeuvrability and low draft will allow you to disembark easily onto the private pontoons of hotels, beaches and in the various harbours of the French Riviera for a tailormade service closest to your interest points. Comfortable and efficient, the Vandutch 40 chartered by Arthaud Yachting facilitates both your private and professional transfers along the French Riviera. Nice airport, the private airport in Cannes-Mandelieu, the Palais des Festivals in Cannes, the Grimaldi Forum in Monaco, Pampelonne beaches in Ramatuelle / Saint Tropez or even the Lerins Islands: a multitude of destinations are available for you to choose from during your luxury transfers on-board a Vandutch 40. Opt for a rapid and exotic transfer on-board a Vandutch which will enable you to reach St Tropez in less than an hour departing from Cannes and two hours departing from Monaco, an optimised timing for all your trips. Our region often sees its roads congested, therefore Arthaud Yachting takes the responsibility to ensure your punctuality and guarantees serenity during your transfer operations on-board a Vandutch. Individual transfers or for large groups, our fleet of Vandutch available for charter will accommodate the needs and requirements of individuals, companies and travel agencies or for the organisation of an event, for groups reaching up to 300 guests, day and night. Propose an atypical transfer to your guests on-board a Vandutch and offer them a memorable discovery tour of the French Riviera from the sea. 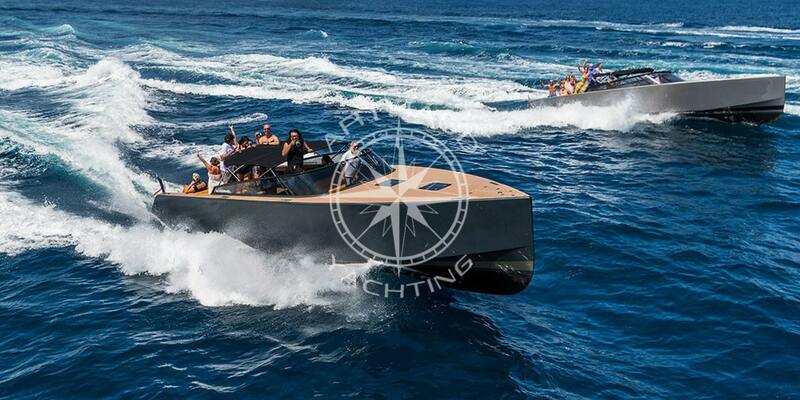 The Vandutch is a speedboat which is also a popular accessory amongst captains, utilized as a tender for yachts. 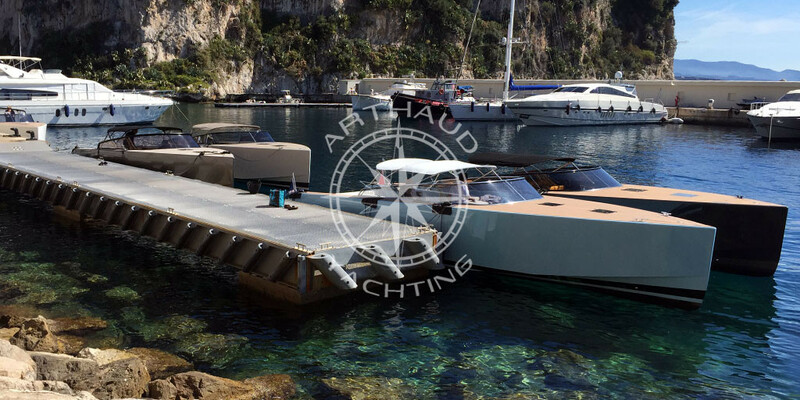 When the dimensions of a yacht do not permit it to access your meeting spot at its closest, the Vandutch and Arthaud Yachting take over for a transfer in harmony with the standards of your yacht. 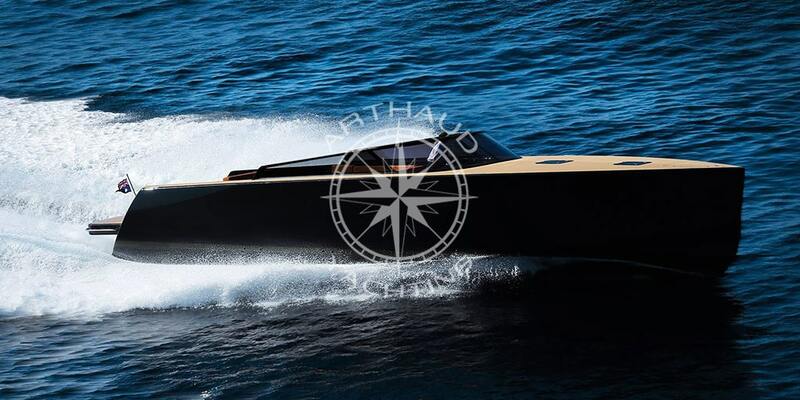 Arthaud Yachting and Vandutch have associated their knowledge throughout various day charters and transfers on the French Riviera: watchmakers, perfumers, actors, Formula 1 pilots, yacht owners or families on vacation, all our clients opt for one of these attractive speedboats despite a large range of competitors in the sector. So go on, its your turn now ! Feeling a trip? 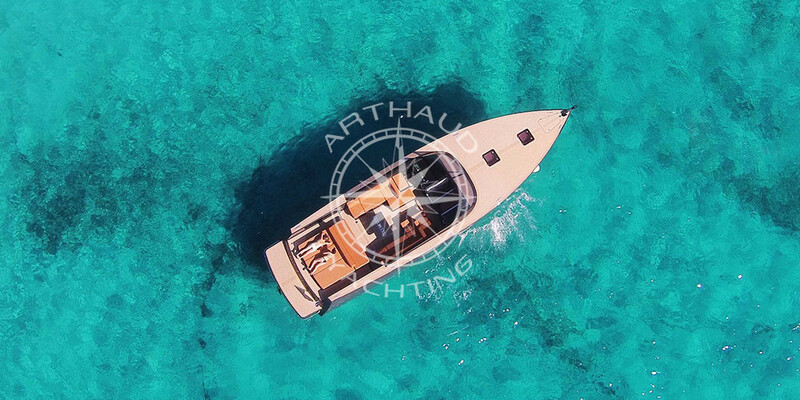 Arthaud Yachting offers over twenty vessels available for charter for your next escapade at sea between St Tropez and Monaco, passing by Cannes, Antibes, Nice, St Jean Cap Ferrat, and many more. Proposed for charter with a skipper, the Vandutch is the ideal boat for a relaxing day along the French Riviera with family or friends. Take full advantage of the various on-board facilities such as reversible air-conditioning, a fully equipped kitchen and a spacious cabin which can accommodate up to ten people on the Vandutch 55, all whilst listing to your very own playlist played onto the high end sound system. A large rear platform just above the water surface invites you to take a dip into the crystal waters of the Mediterranean and to discover the many wonders our region has to offer: Lerins Islands, Cap Taillat, Cap d’Anties and the Corniche d’Or, you will without doubt become well acquainted with all of them ! Its refined lines were carefully designed by an expert renown worldwide in order to offer to the tens of passengers a comfortable living space with multiple seats and sunbeds, without neglecting the performance whilst navigating. 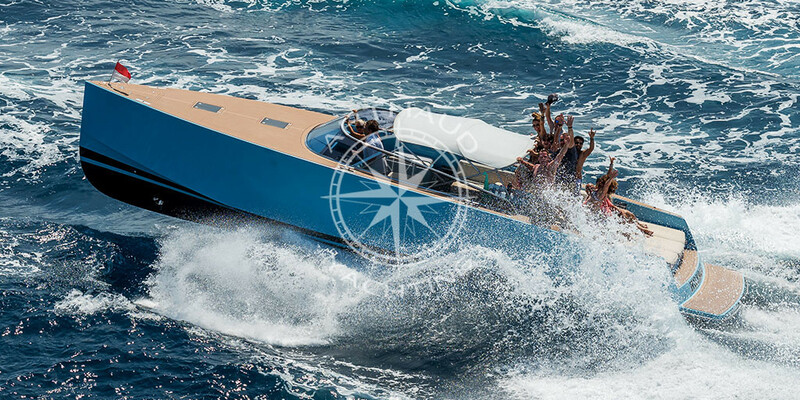 With a maximum speed reaching up to 36 knots (70km/h), the Vandutch remains a powerful and manoeuvrable boat, particularly thanks to the front and back propellers included on all the models of the Vandutch fleet. In terms of fuel consumption, the Vandutch stays very reasonable because of its aerodynamic lines and a total weight which is rather light for a boat of its range. Various storage areas have been built into the haul of the Vandutch in order to optimise the living area: retractable mooring cleats, telescopic navigating lights, embedded ladder, incorporated storage for fender; the designers were attentive to making the equipment and accessories disappear in order to priorities guest comfort and mobility. Your partner for your charter and transfers on the French Riviera, Monaco, Nice, Cannes, St-Tropez and Marseille.